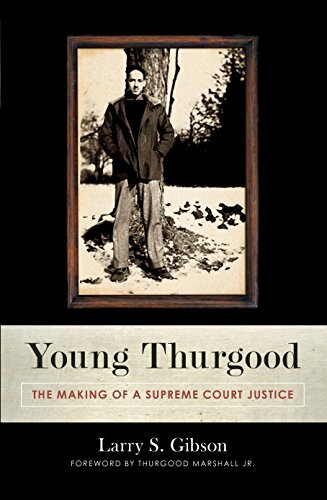 Like the movie Marshall, this book--the only biography of Thurgood Marshall to be endorsed by Marshall’s immediate family--focuses on his early civil rights struggles and successes before Brown v. Board of Education. Thurgood Marshall was the most important American lawyer of the twentieth century. He transformed the nation's legal landscape by challenging the racial segregation that had relegated millions to second-class citizenship. He won twenty-nine of thirty-three cases before the United States Supreme Court, was a federal appeals court judge, served as the US solicitor general, and, for twenty-four years, sat on the Supreme Court. Marshall is best known for achievements after he relocated to New York in 1936 to work for the NAACP. But Marshall's personality, attitudes, priorities, and work habits had crystallized during earlier years in Maryland. This work is the first close examination of the formative period in Marshall's life. As the author shows, Thurgood Marshall was a fascinating man of contrasts. He fought for racial justice without becoming a racist. Simultaneously idealistic and pragmatic, Marshall was a passionate advocate, yet he maintained friendly relationships with his opponents. Young Thurgood reveals how Marshall's distinctive traits were molded by events, people, and circumstances early in his life. Professor Gibson presents fresh information about Marshall's family, youth, and education. He describes Marshall's key mentors, the special impact of his high school and college competitive debating, his struggles to establish a law practice during the Great Depression, and his first civil rights cases. The author sheds new light on the NAACP and its first lawsuits in the campaign that led to the 1954 Brown v. Board of Education school desegregation decision. He also corrects some of the often-repeated stories about Marshall that are inaccurate. Larry S. Gibson (Baltimore, MD) is a professor of law at the University of Maryland Francis King Carey School of Law in Baltimore, Maryland, where he has been on the faculty for thirty-seven years. He is also a practicing lawyer with the firm of Shapiro, Sher, Guinot, and Sandler. Among his many accomplishments was legislation that renamed Maryland's major airport, the Baltimore Washington International Thurgood Marshall Airport.